In the case of the Linux world, there are so many things going on at the same time that things can become pretty messy. For example, let’s take the installation of your favorite software. Whenever you’re willing to install it, you have to make sure that the software comes up as the correct bundle/package that your system accepts and treats as installable software. Many Linux distros come up with different installable package types. For example, Debian, Ubuntu and derivatives use DEB packages whereas Fedora, OpenSUSE, CentOS and RHEL etc. use RPM. Keeping that in mind, a number of software packages that targets the Linux platform offer source codes directly instead of providing individual binaries for each platform. That being said, building from source and installing software can become pretty troublesome in lots of cases. In fact, you may end up with a number of errors and dependency problems. That’s why installing software directly from source can be troublesome for the users. What to do in such a situation? 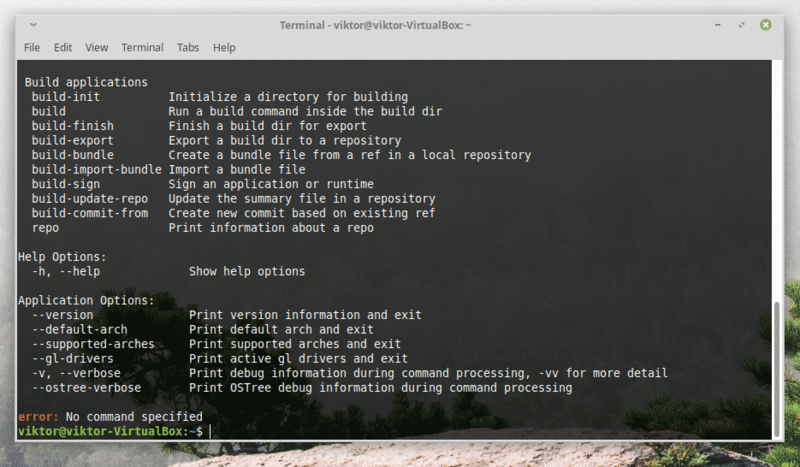 Well, there are a few projects that are ongoing on the Linux that offers a universal platform – installing, managing and uninstalling software as you like on all the Linux distros. No need to worry about dependencies or others. 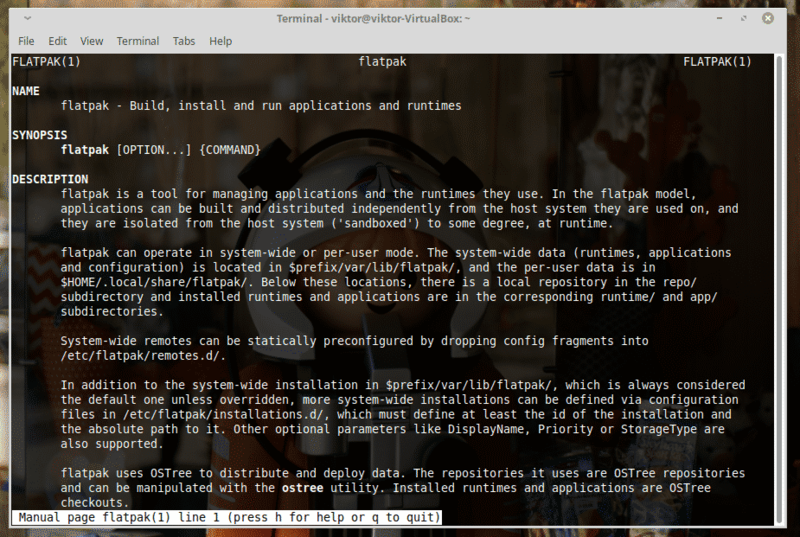 Flatpak is one of the many finest Linux frameworks that offers tremendously valuable service. 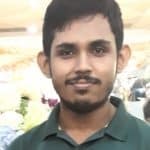 With all the different Linux distros preferring their own package management and installable file type, grabbing the right software can be a difficult choice for Linux users. Moreover, it also makes the work of a developer much harder as all the different distros have to be covered. Flatpak is an effort in removing the tyranny of such messes. With one universal platform, both the software developers and the users can benefit. For example, the developer only has to maintain the software in one place without worrying about cross-distro compatibility. Users can also directly install software from one place, on all the supported Linux distros. For the users, Flatpak automatically keeps all the installed packages up-to-date. In the case of developers, there’s no need to change the code at all for forward-compatibility. If you’re new to Linux, then Linux Mint is one of the best places to start. Even for professional usage, Linux Mint offers great value. It’s a mid-weight Linux distro that comes up with some of the coolest desktop environments (Cinnamon, Xfce, and MATE) for Linux. 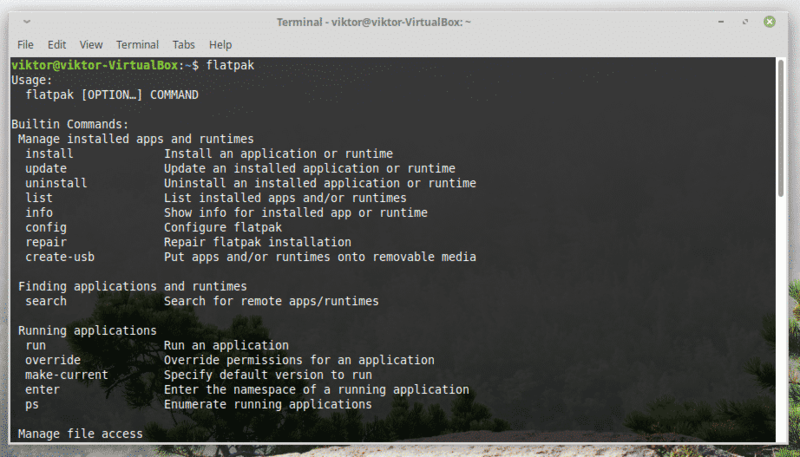 As a popular distro, Linux Mint also offers support for Flatpak. Now, in the case of all the “universal” app management systems, it’s necessary to have the client-side software configured. The client-side ensures that the system is ready to accept and enjoy universal packages. Fire up a terminal and make sure that your system is already up-to-date. 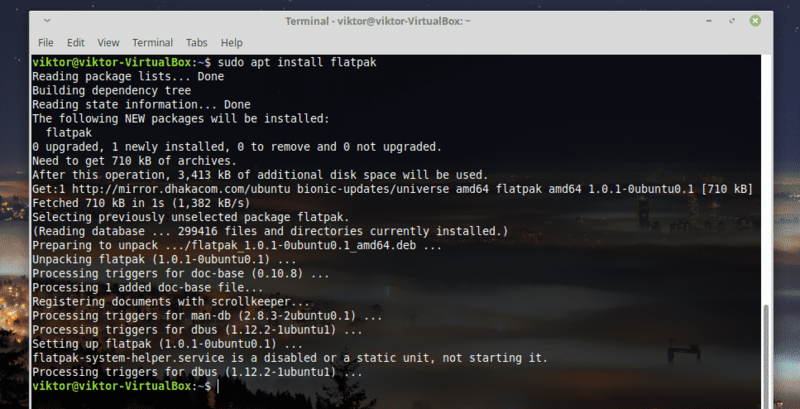 The most basic usage of Flatpak is installing a “flatpak” universal package or uninstalling it. Note that you can get the universal “flatpak” packages directly from a developer or from the Flathub. Flathub is the place where all the official Flatpak apps are available. 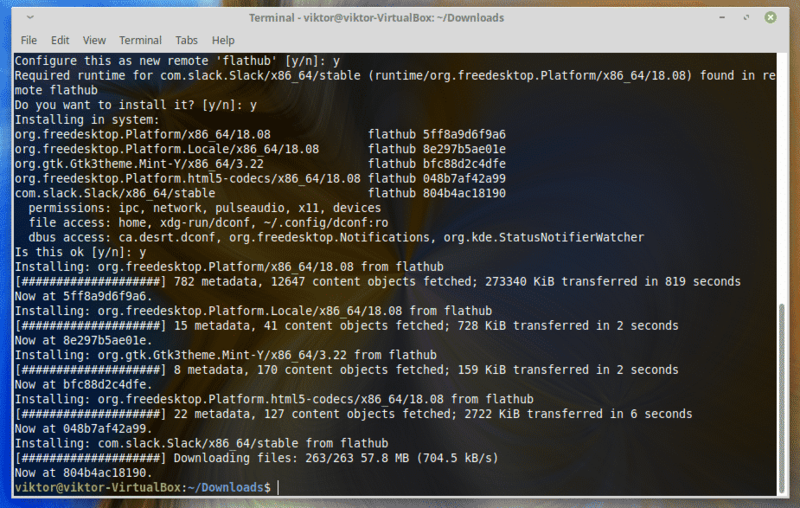 For example, let’s install Slack from Flathub. Click on “Install”. This will download a “flatpakref” file on your system. You’ll be prompted to allow some actions. Most of them should be “y” (yes) unless you’re sure that you don’t need it. Need to uninstall software? Let the flatpak tool handle all by itself! In cases, you may end up with a corrupted installation of a package. Don’t worry; Flatpak allows you to check for any error and fix it accordingly (if needed). All the available options are available on the man page of Flatpak.